​For rent is the Koch KT20312 Subframe tool. 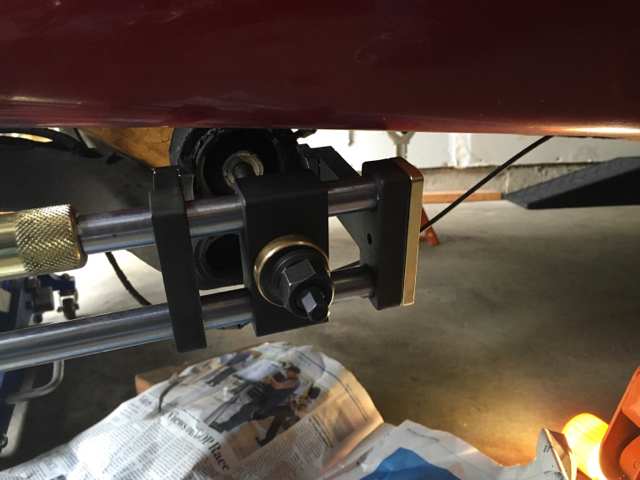 This tool will remove and reinstall the 4 rear subframe bushings with ease. I can also include the pictured Bearing Race and Seal Driver Set (one of which is the exact size as the forward diff bushings). 1) You paypal me $300 and I ship to you. 2) You use the tool(s) for two weeks or let me know if you'd like to extend the rental period. 3) You return tool to me with shipping tracking (you pay). 4) Once received and verified all is well you receive $230 back if shipped within 2 week window (or less if extended). 5) If any piece of the tool is returned damaged or not returned, I will hold the entire deposit until Koch tools be contacted for replacement. 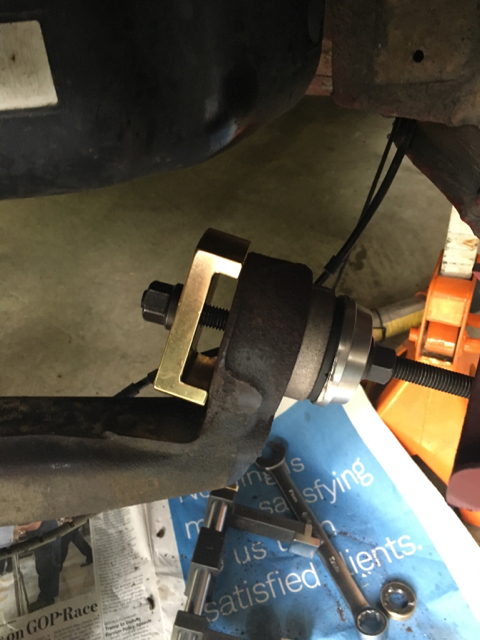 This tool can be used for some additional bushings like rear differential (on or off the car), and possibly the forward subframe differential bushings if the subframe is removed (not enough clearance if it is installed on the car) of threaded rod and an assortment of larger sockets to remove/reinstall inner control arm bushings and the outer balljoints/bushings. PM me for more info and PayPal address. Last edited by ELCID86; 12-02-2016 at 09:00 AM. Nice! Hey Sean will this work on FCAB & RTAB's? I would think it would on the fronts. Not sure about clearance on rear, etc. Peter, any thoughts? Bump. Still available. I hope to soon see if this will also work for RTABs. 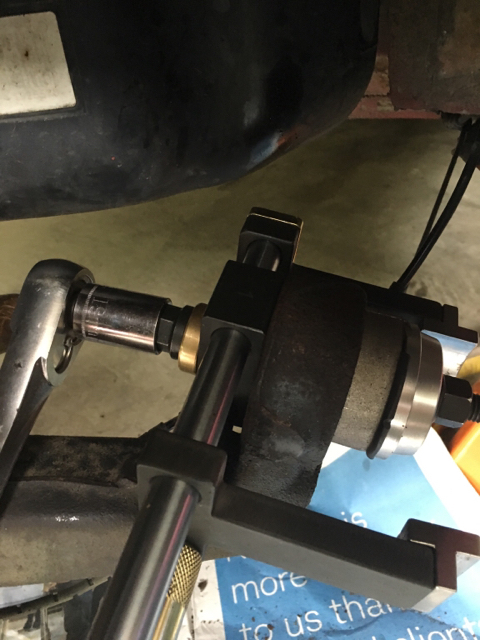 This tool also works for rear trailing arm bushings. I did mine today. Last edited by ELCID86; 02-11-2017 at 12:32 PM.